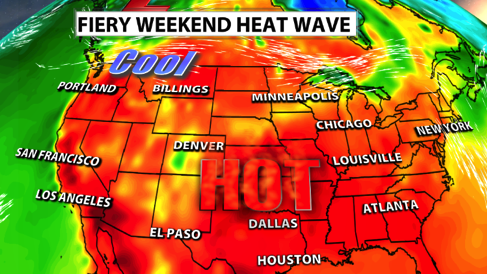 During this ongoing, record-setting heat wave, D-FW television audiences constantly are being advised to stay out of the not-so-great outdoors whenever possible. As of this writing (2 p.m. on Friday), at least two local stations have decided that what’s good for viewers is also good for their reporters. Both NBC5 and CBS11 for the most part have temporarily suspended live shots from the field. Fox4 so far is still planning to go live, according to sources. There’s no word yet from TEGNA8, whose news management again threw shade on an inquiry from unclebarky.com -- by not responding.